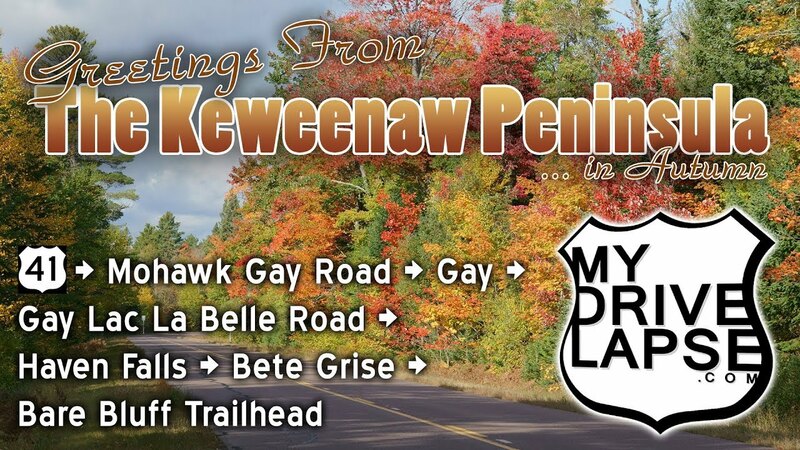 This route follows some beautiful backroads lined with fall foliage on the Keweenaw Peninsula’s southeast side. It begins at US 41 at Mohawk, and follows Mohawk Gay Road to the town of Gay (where, yes, you will find the Gay Bar). The drive continues along the coast to Lac La Belle, Haven Falls, and Bete Grise.